- Firstly, after the fall of the Berlin Wall coming to power of politicians with potential democratic conviction in the Eastern European countries were not instantaneously visible and a call to review historical events were rarely instigated. Communist parties did not have the distinct adjective (communist) in their names any longer, but the fundamentals of the doctrine remained. Apart from that, they won the first multi-party elections as key members of the newly established democratic parties and were conspicuously influential in the former totalitarian communist system in which they held high offices or were senior academic lecturers in Marxist studies. - Secondly, communist veterans in every eastern European country continued to strengthen achievements of national liberation struggle either directly, or through their own offspring in other political parties. - Thirdly, the historiography of the socialist countries, especially Yugoslavia, during the past decades, not only influenced their own public, but the historiography of the Western Countries also. Western scholarly literature, often quoting Communist books and adopting the views of their authors, can be seen as the indisputable testimony. It is intriguing that a small number of western historians studied documents in the Yugoslav archives; none of the researchers focused on the relatively longer works, bearing in mind the language barrier (Cyrillic alphabet) and the high cost of translation. Ultimately it can be perceived that the Western Historiography coincided with the Easter European Historiography counterpart to a somewhat large extent as the East, and West were allies in WW II, and that in turn brought about the unique view of Yugoslavia. What is worth mentioning is certainly the absence of almost any difference between the arguments of the official British History of World War II, in the multiple-volume Grand Strategy and the historical account of the Broz regime. This could be explicated by the British background in the overthrow of King Peter II and in bringing Broz to power. However, Heather Williams and the contemporary generation of British historians attempt to reformulate the Grand Strategy view. 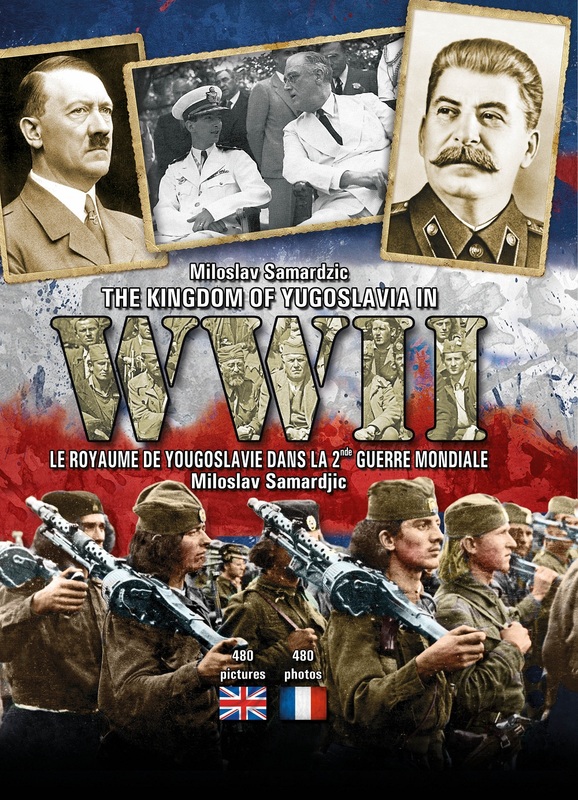 This work, making no huge claims, is an attempt to more closely explicate the core of the key events that shook the occupied Yugoslav Kingdom from 1941 until 1945. Unlike the clear front lines of WW I, in World War II 22 formations were active on the soil of the occupied Yugoslav Kingdom. These formations had their own and very often covert interests, even if they were on the same side. Unfortunately, interests of the three great power blocks (theWest, Germany and the Soviet Union) clashed on this terrain and the Western politics had undergone a radical shift in political affiliation turning from the Monarchy to the Communists. Bearing all this in mind the best approach would be to show a chronological record of events illustrated by photos and maps. Main Events refer to the formations, their leaders, the war objectives, the actions, the victims, the international factor and the weapons.